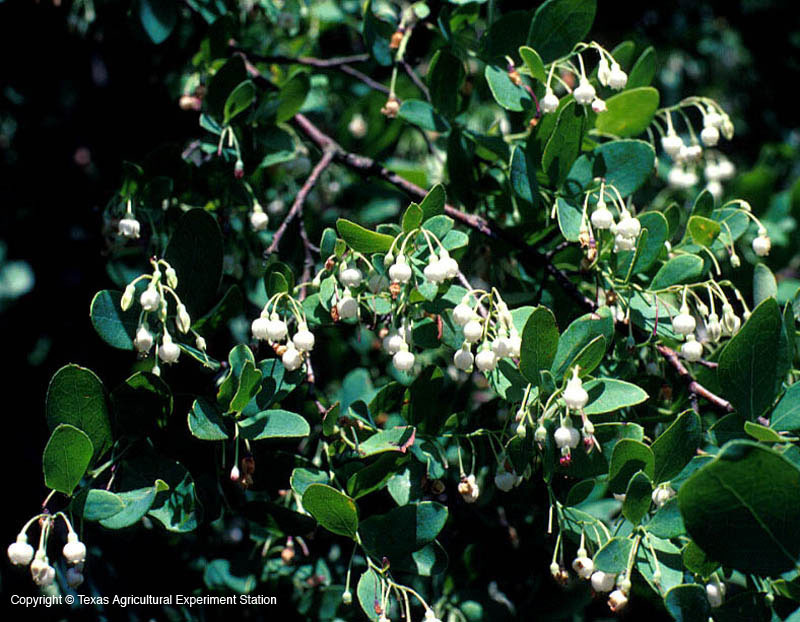 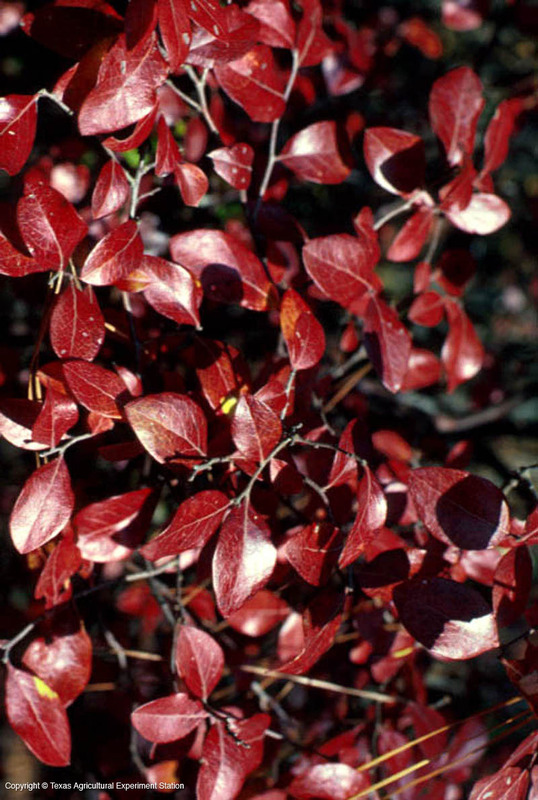 Farkleberry is a small, stiff-branched, evergreen or persistent-leaved tree or large shrub found on acid, sandy, well-drained soils in fields, clearings, open mixed forests, dry hillsides and wet bottomlands in east Texas west to the Bastrop area. 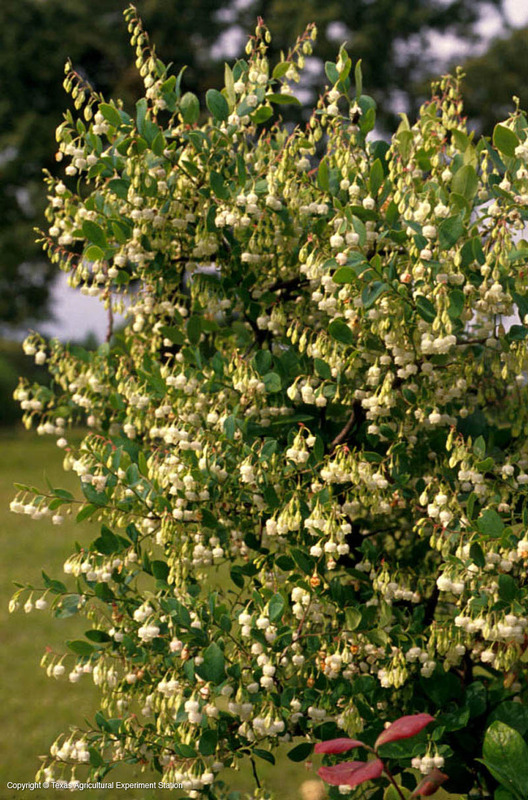 It has small, bell-shaped, drooping white or pinkish flowers in loose racemes followed by small, black inedible fruit that matures in the fall. 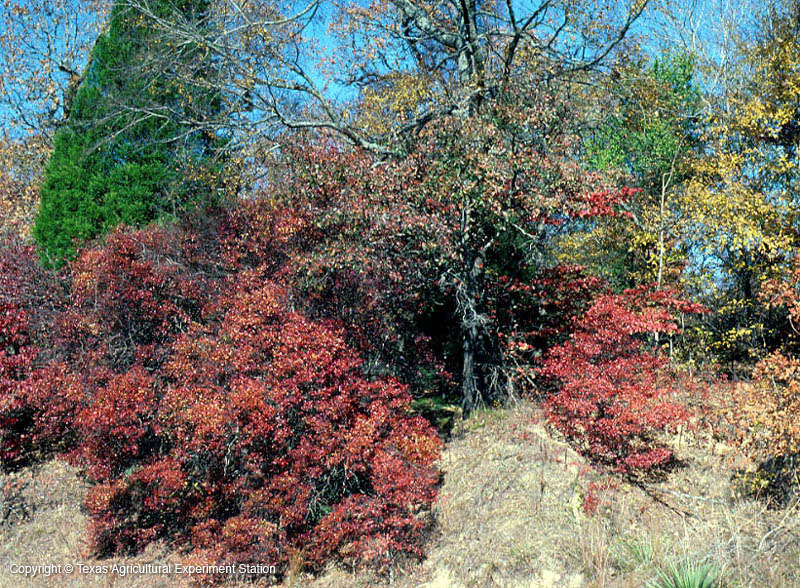 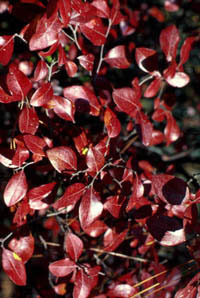 The leathery, glossy green leaves turn rich red in autumn.